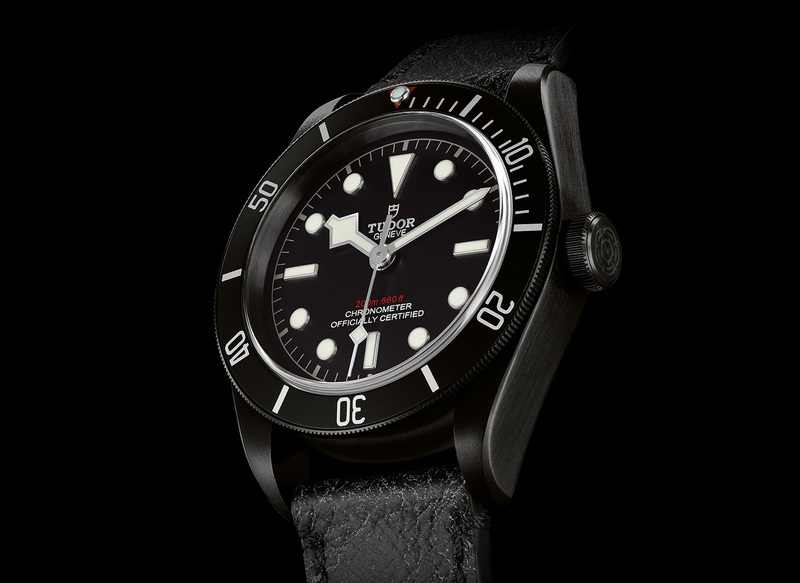 The Black Bay Dark is Tudor‘s signature dive watch with a major makeover. The case remains the same 41 mm as the Black Bay, but it’s been given a brushed satin finish on all surfaces, then coated in black via physical vapour deposition (PVD), resulting in a subdued, matte appearance meant to evoke military equipment. The only colour on the dial is the depth rating in red, another element of vintage dive watches. In fact, the look brings to mind the mythical Rolex Submariner rumoured to have been made for the South African army during Apartheid, the same unicorn that inspired countless aftermarket all-black Rolex watches. 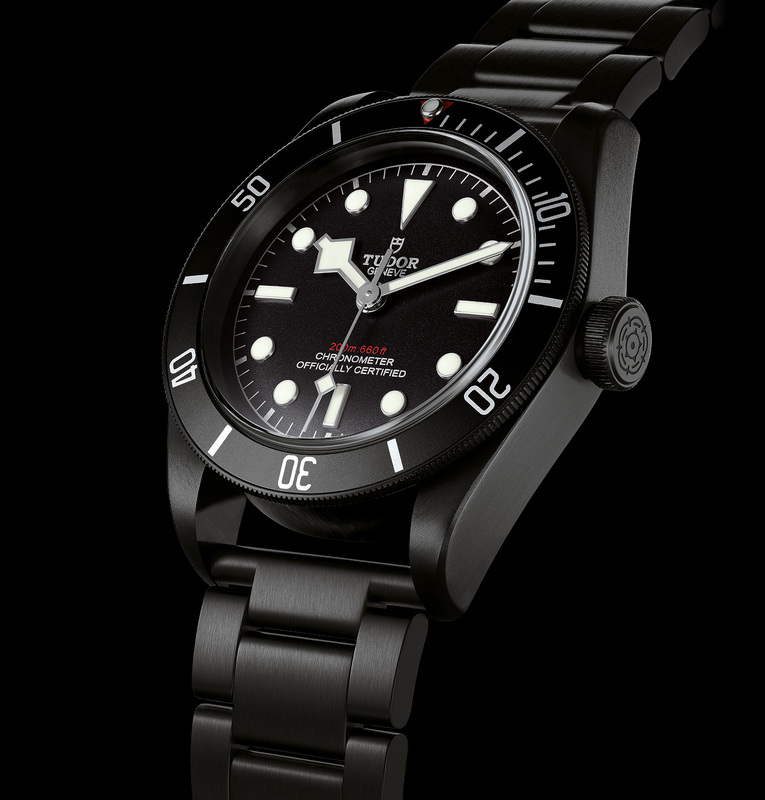 But it’s not just a cosmetic makeover, the Black Bay Dark is powered by the MT5602. A variant of the in-house movement introduced last year in the North Flag and Pelagos, the COSC-certified MT5602 is automatic with a 70-hour power reserve. And it also features a silicon hairspring that’s both impervious to magnetism and temperature changes. The Black Bay Dark (ref. 79230DK) is available with two strap options. The first is a matching all-black steel bracelet – with the retro straight ends of the recording setting Black Bay One – priced at SFr4250. And priced at SFr3950 is the version with a distressed grey leather strap. 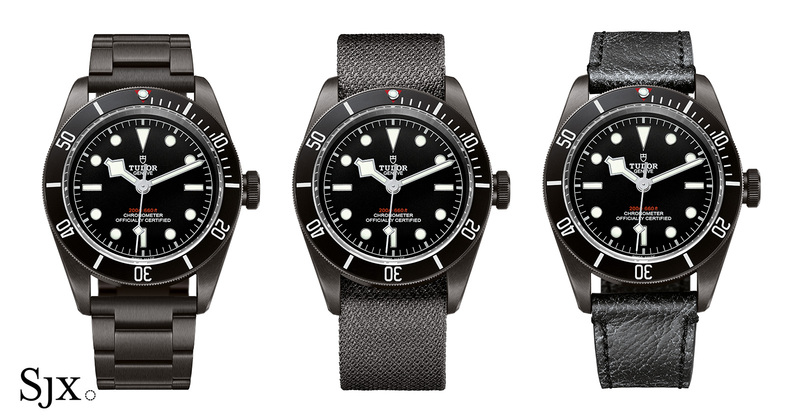 Both variants are also accompanied by a grey NATO-style fabric strap.